This weeks blog comprises of some favorite and memorable photos of the South Lakes Footpath Team projects throughout the year. Our main project this year was working on the Coniston Old Man path from Low water to the summit. 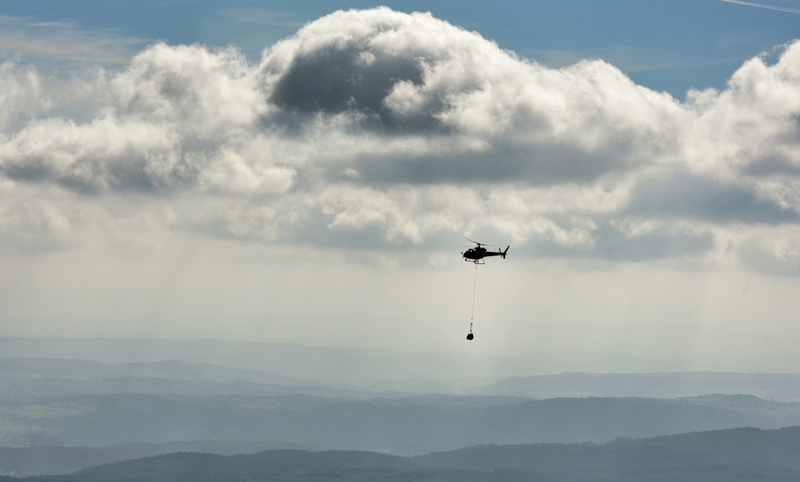 Thanks to help from the wider ranger team at Boon Crag we filled the helibags in time for the scheduled helicopter flights. All rangers at the ready! bag filling blitz! Working on the erosion scars on Striding edge lent itself to some spectacular photos this year. As well as physically combating erosion issues within the Lake District education is also vital, sharing knowledge within the National trust is part of this. 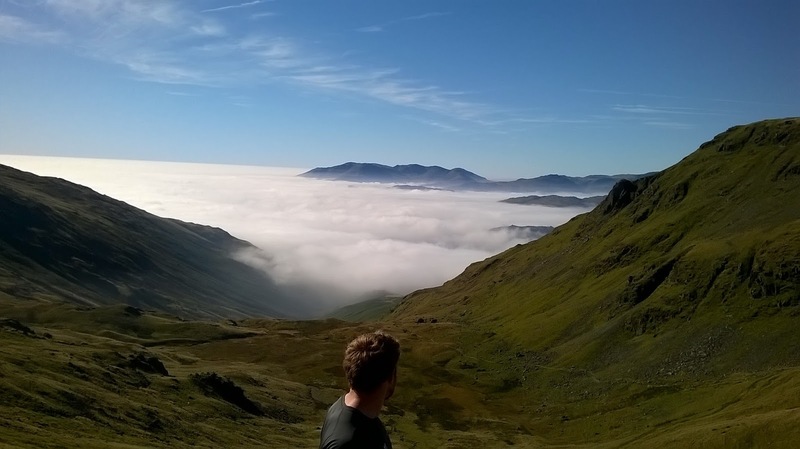 Below is a photo of South Lakes 'walk on the wild side' team day discussing the erosion concerns on Striding edge. Team day on Striding edge. Amazing refection in Red tarn below Striding edge. Decent day on Striding edge. Previous footpath projects often need maintenance, such as extra drainage, repairing stone pitching or path re-surfacing. One of the maintenance tasks this year was on Mart Crag Moor in the Langdales, topping up the low points on the path. This involved mining for glacial till otherwise know as pinnel which acts as a hard wearing surface material. Looking up the valley from the vehicle. Some other memorable photos throughout the year on different work site. Cloud inversion looking down Tongue gill from Fairfield. Kipping at lunchtime on Dovedale. Faint rainbow at Hole rake Christmas work party. Around here the Friday before Christmas is traditionally known , by the emergency services, as ‘Black Eye Friday’ it’s the day when the local builders, joiners, plumbers, electricians and people who work the land, finish work and start their Christmas break . Many local trades people gather in the local pubs , much drink is taken , tongues are loosened and later in the evening petty rivalries and grievances are aired, things are said that would be better left unsaid leading to the inevitable ‘wrestling and fisticuffs ‘ and the blackening of eyes ! This year however may be a bit different , the recent exceptionally severe flooding and strong winds has meant that houses have been flooded , roads and bridges damaged, trees felled onto tracks and paths , walls and fences. 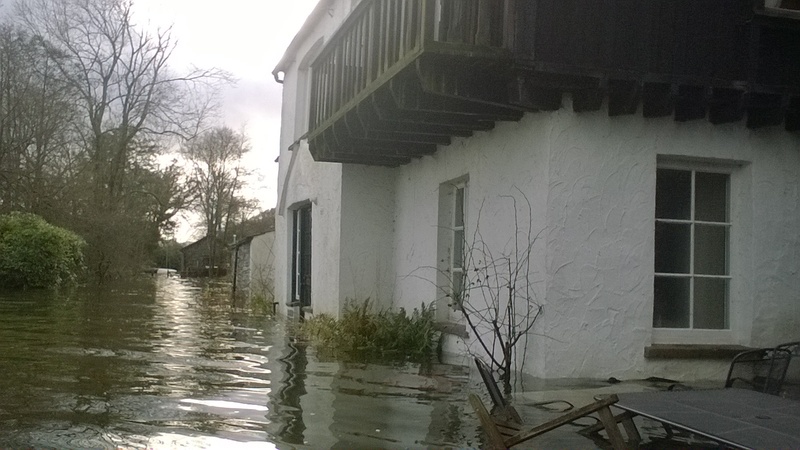 Some of our National Trust staff have been affected; flooded out of their houses, possessions damaged beyond repair. Like our own NT Rangers , many of the local builders are now busier than they have been all year , working hard to repair the damage caused by wind and water, hoping to get people back into their homes before Christmas . 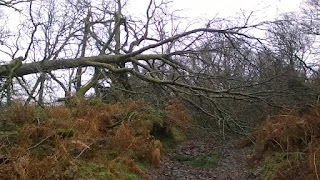 As I write this we have Rangers and teams of volunteers assessing and prioritising the damage , repairing tracks and removing windblown trees from paths. Builders and joiners are delaying their Christmas break ripping out damaged kitchen units and furniture trying to dry out properties quickly so that re-building work can begin. This work will continue well into the new year and some of it will take months ! 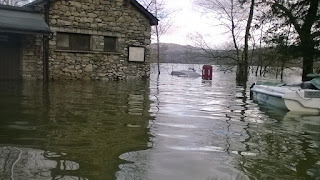 All this paints a bleak picture, but the reality of life in the Lakes is that we have faced severe weather challenges before; repaired, rebuilt and carried on with our work and our lives and this time will be no different. Most of the businesses are open as usual , the majority of roads and bridges are open , the countryside is accessible , if a little scarred in places . So come and visit Cumbria and the South Lakes we are open for business and we could do with your support now more than ever. If anything the Lakes is looking even more moody and magnificent , the becks and waterfalls are certainly something to behold, and Christmas is a great time to be in the Lakes whatever the weather. Do check our NT website for opening times and info as some of our properties close for a Winter break to prepare for the new season. Every year when our annual cohort of full time, long term volunteers leaves, we make them (askthem to) write a blog reflecting on their experience. Well, this time it’s my turn to leave after a very happy couple of years working at South Lakes, and it seems only right that I should join in the tradition. It feels far too soon to be going, but when I look back at what we’ve been up to since January 2013, I’m amazed by the amount and variety of stuff we’ve managed to fit in! …on the most picturesque days. …and the peculiar madness of Lake District wall gaps. Not to mention that of spending too much time in the office. In 2003 the United Nations General Assembly designated 11 December “International Mountain Day”. Celebrated every year around the globe it creates ‘awareness about the importance of mountains to life, to highlight the opportunities and constraints in mountain development and to build alliances that will bring positive change to mountain peoples and environments around the world’ (FAO, ’15). This year the focus is promoting mountain products and with a wealth of those in the Lake District it seems only right to join in on the celebrations! The Lakes- beautiful and industrial! 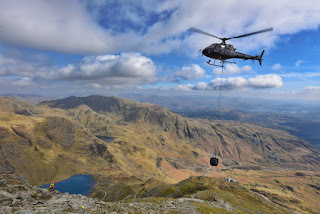 As Upland Rangers we spend a large majority of our working career up in the Lake District Fells and we rely heavily on materials that come directly from the mountain on which we are working. On all of our work sites we endeavor to use as local material as possible, which helps us to make any paths we build sympathetic to their surroundings. Where we can, we also support the communities local to our projects, the sheep fleece paths up Martcrag moor being a great example. The sheep fleece for these paths comes from the farmers that directly graze the land and the aggregate from borrow pits just beside the path. They offer a great sustainable way of protecting the landscape from further erosion with materials that have rarely travelled more than a few miles. But we’re not the only ones who use mountain products, from all the way back to Neolithic times when the axe factories were functioning down Langdale to our present day hill farmers, the Lake District has always been an important industrial landscape. Which can easily be forgotten with 16.4 million tourist (STEAM 2014 - Cumbria Tourism) visiting the Lakes largely for its ‘natural beauty’. It's not just mountain products that are important. Mountainous areas provide 60-80% of the worlds freshwater and we all know how much and how important water is in the Lakes! This as a resource is becoming more widely used in the Lakes with a number of hydro-electric schemes being installed to provide a sustainable power source that harnesses a natural power. With the installation of these also comes the creation of jobs which in upland areas can be hard to come by. 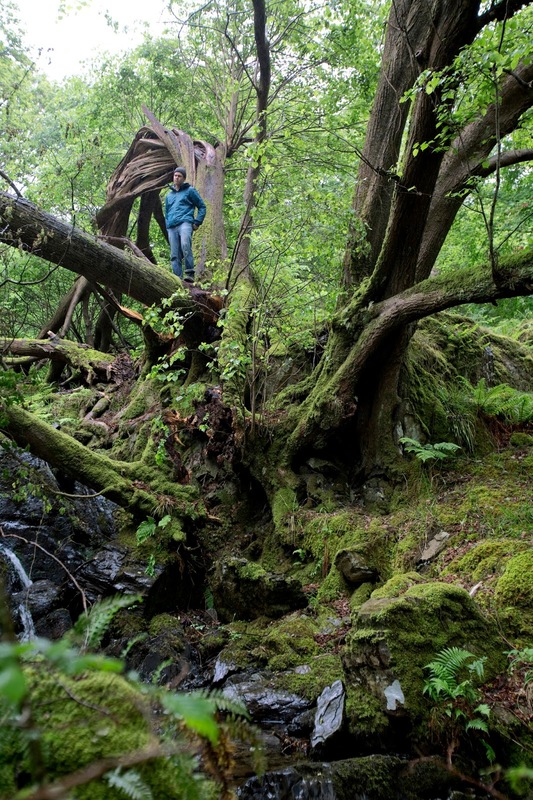 As touched on before the Lakes is an incredibly popular tourist spot and it's easy to see why. It is estimated that more than £900 million (STEAM '12) is contributed to the economy with a little over 15,000 people employed in the sector. With a huge network of paths and great access to the mountains, the Lakes offer a retreat from the ever growing conurbations around the country. Indeed I consider myself to be incredibly fortunate to be able to call the Lakes both my home and office. So when International Mountain Day comes around on the 11th December have a little celebration!